The government has commissioned a final study of its tax reform proposals, as it gears up to introduce VAT by July 2014, and has reassured the business community that it will continue to consider alternative proposals. 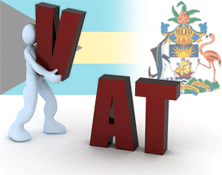 The government has commissioned a final study of its tax reform proposals, as it gears up to introduce value added tax (VAT) by July 2014, and has reassured the business community that it will continue to consider alternative proposals. “There must be comprehensive reform of public finances to significantly improve the government’s revenue collection,” he said during his keynote address at the one-day business conference. The government has commissioned a team of international taxation experts to draw up recommendations ahead of the July 1 deadline, added the Prime Minister. The government has committed to tax reform as part of its bid to become a full member of the World Trade Organization and this week the Ministry of Finance announced the launch of a new hotline service to educate the public about the proposed changes. The Bank of The Bahamas is heading into 2014 with shareholder equity topping $138 million and a robust capital position of 22 per cent. January marks the release of the new issue of The Bahamas' premier business and finance magazine The Bahamas Investor. Armed with timely and stimulating editorial that reaches a worldwide readership of high-net-worth individuals and financial services intermediaries, The Bahamas Investor is an essential tool in the promotion and continued success of The Bahamas as a global offshore financial centre. Pick up a copy today.